Holland Entertainment LLC, operators of the Fiske Theatre in Oak Grove, have announced movie attendance in 2012 increased by 17.5% over 2011 posting its largest attendance numbers since the theatre returned to operation in 2009 with 16,967 movie goers this past year. The slow start of 2012 can be attributed to the lack luster performance of the box office nationally for the final quarter of 2011 when Hollywood flooded the market with what many called less than average movie going product. The Fiske, who generally gets movies three to four weeks after the national release date carried those products over to the new year. The increase locally follows the national trend where attendance was up 6% nationwide in 2012 with 1.36 billion people going to the movies compared to 1.29 billion which was the lowest movie going attendance since 1994 breaking two years of declines in movie attendance. 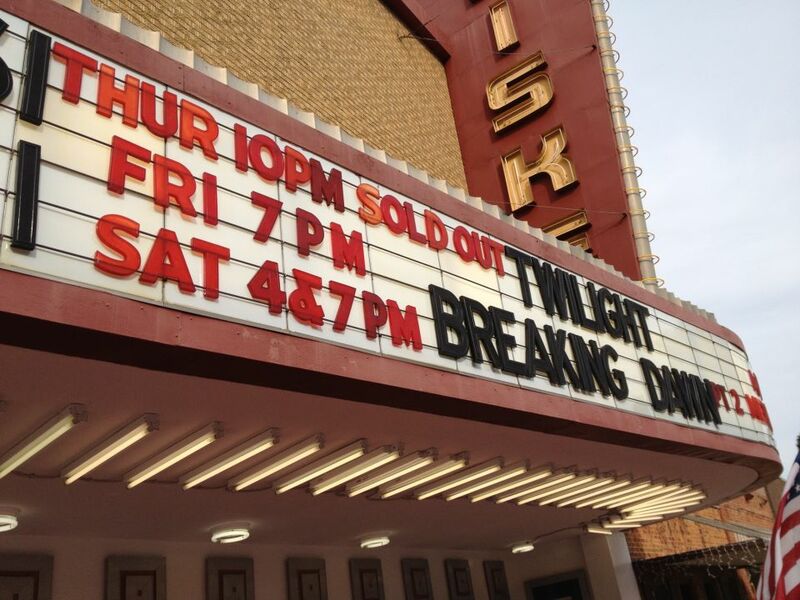 Much of the increase in attendance can be attributed to the solid product Hollywood put out in 2012 with such films as Breaking Dawn Pt. 2, The Avengers, Dark Knight, Hunger Games, The Amazing Spiderman and the sleeper hit, The Odd Life of Timothy Green, all of which performed better than expected at the box office. The Fiske also debuted its newly renovated auditorium thanks to the overwhelming support of the people of Northeast Louisiana with the Chamber’s Operation 2012 Fundraiser and Project which gave the theatre her biggest facelift since she opened in April of 1950. Holland is very optimistic about 2013 as Hollywood seems to have gotten the picture after the dismal to 2011 and the product seems to be strong in the coming year. The Fiske Theatre is Northeast Louisiana’s oldest operating and last single screen movie theatre. The Fiske is owned by the West Carroll Chamber of Commerce and operated by Holland Entertainment LLC of Oak Grove, La.